All LANDINGS AT DESERT HARBOR homes currently listed for sale in Peoria as of 04/23/2019 are shown below. You can change the search criteria at any time by pressing the 'Change Search' button below. 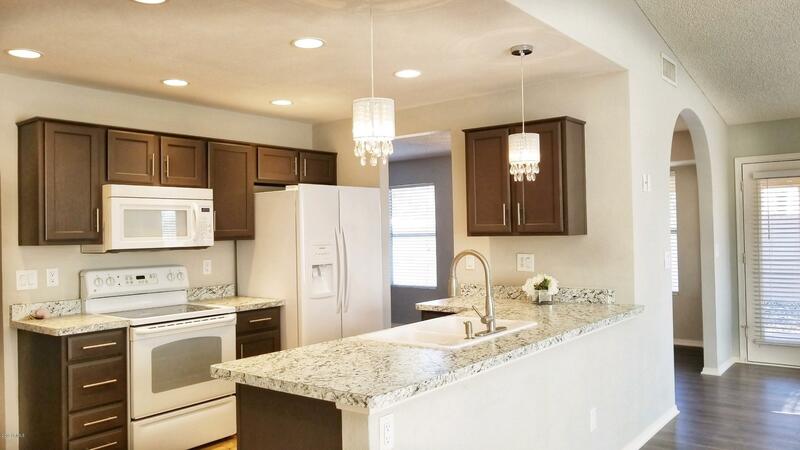 "THIS FULLY REMODELED HOME IS BACK ON THE MARKET. Located in the popular Desert Harbor Community. Home includes vaulted ceilings,separate living and family rooms, fire place, also bedroom ceiling fans. Spacious master with walk in closet. Kitchen and baths updated, interior and exterior repainted. Garage (floor, walls, ceiling) all refinished. RV gate leading to nice size side yard. Home is very clean ready for new owner."